I wavered between 3 to 4 stars while reading, deciding to round up to 4 solid stars. Kris Ripper is a new-to-me author, with an easy-to-read writing style, quick pacing, and genuine characters. Emerson is suffering from MS, has a negative view of the world because of his illness, and generally pushes people away. The introverted GED teacher was prickly, always having his spines out to poke anyone who gets too close. I fear many readers won't get Emerson, but I was able to empathize with him for the most part, even when he was at the height of his asshattery. Emerson's self-deprecating inner monologue was hilarious – I'm not one for over-the-top comedy, but the way Emerson's narrative was written, it truly balanced the darker periods in the book. Obie is a strong, positive character, a great balance for the reluctant Emerson. Patient in the extreme, after managing his BFF who acts exactly like his new boyfriend. I applaud the author on giving a realistic, non-fluffy view of MS and how it affects the daily life of those inflicted, as well as those who love them. In Emerson's monologue, he himself expresses how there is no erasing it, good and bad days. I enjoyed how the author was being ironic by not only pointing out how romance books would ignore this issue, but making it the focal point. Most readers want fantasy, a world without pain and issues, but Gays of Our Lives was messy with reality, which is what kept me engaged. 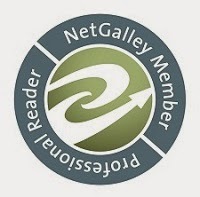 I give a solid 5 stars on how MS was represented, the true-to-live emotions and traits Emerson expressed (which I'm sure rubbed some readers wrong), and how fluidly the romance flowed. So why did I waver between 3 or 4 stars? While I loved the story and the characters, there was a ton of redundancy of everyday events on repeat, no doubt to build the relationship between Emerson and Obie without coming off as insta (this is most definitely a slow-burn romance). Without another thread of conflict introduced, Gays of Our Lives couldn't support the page count without losing my interest. Either there should have been some conflict, maybe explaining what happened to the drag queen, or it should have been shortened to a novella in length. This is only my opinion, one I would have given when wearing my editor hat. Otherwise, I truly did enjoy this heartwarming, endearing storyline. Recommended for MM romance fans, particularly those who are into the hurt/comfort trope. Will I read more by this author? Most definitely. If the opportunity to read more from this author arises, I won't hesitate to jump at the chance. 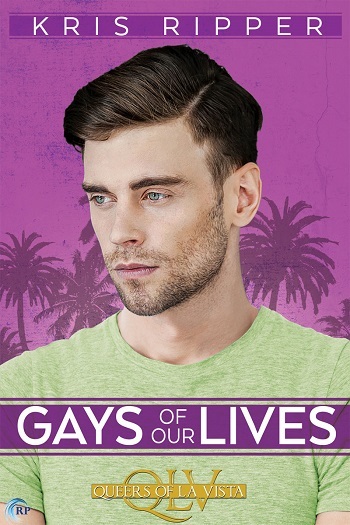 Reviewers on the Wicked Reads Review Team were provided a free copy of Gays of Our Lives (Queers of La Vista #1) by Kris Ripper to read and review.